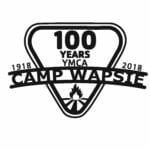 Come join us at Camp Wapsie, where work is fun! We have an immediate openings for two seasonal Kitchen Stewards for the summer. The Kitchen Steward assists the Food Service Director to maintain the cleanliness of the kitchen facility and dining are, to include dishes, utensils, prep surfaces of the kitchen and the floors and storage areas of the dining room. The Kitchen Steward also assists in food preparation and serving of meals. If time allows, the Kitchen Steward may also assist with and participate in camp games, activities and nightly routines. Assist in maintaining the cleanliness and sanitation of all preparation, cooking, serving, and storage areas. Assist the cook in every way possible in preparing, serving, and cleaning up after meals. Keep the kitchen and dining room clean and up to Linn County health standards. Assure that the dishwashing machine is used, cleaned properly, and a record of temperature kept daily. Clean up after cookouts and assist the counselors as they follow procedures. Participate in all courses, activities, classes, training, and planning sessions during the week of pre camp. Assist in other areas as needed to effectively serve the needs of camp and he campers. Room and board is included and the position is paid on a weekly stipend.